Last November the Wade Center welcomed a new era of public programming and scholarship with the launch of the Ken and Jean Hansen Lectureship. 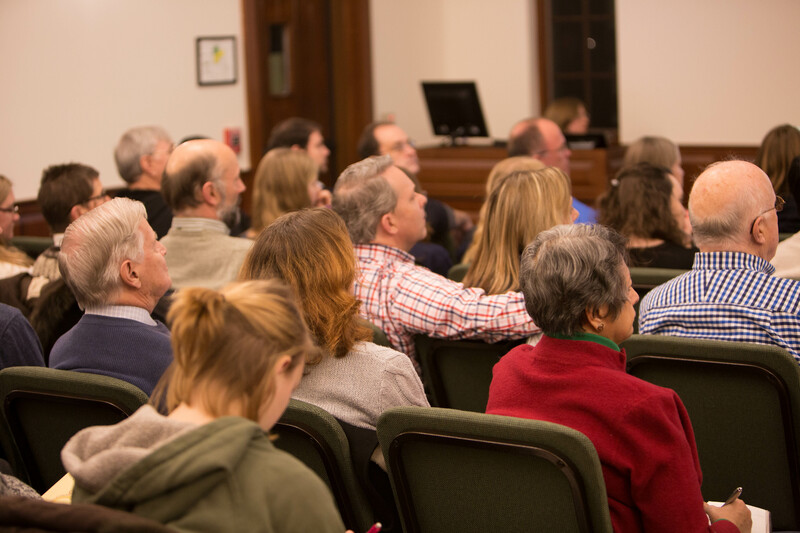 The lectureship is an annual faculty lecture series named in honor of former Wheaton College Trustee Ken Hansen and his wife Jean, and endowed in their memory by Walter and Darlene Hansen. Each academic year three lectures will be presented by a Wheaton College faculty member on one or more of the Wade Center authors. The 2015-2016 lectureship series features Wheaton College President Philip G. Ryken and the topic: The Messiah Comes to Middle-earth: Images of Christ’s Threefold Office in The Lord of the Rings. 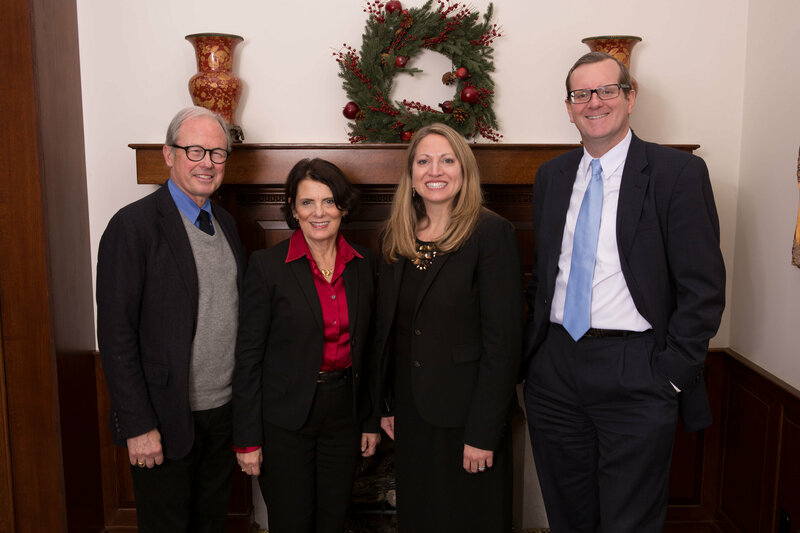 Walter & Darlene Hansen with Dr. Jennifer McNutt (faculty respondent) and President Philip G. Ryken on the night of the second Hansen lecture, February 4, 2016. It is the hope of the Wade Center as well that these lectures will serve as a new way to connect others with the works of our seven authors. 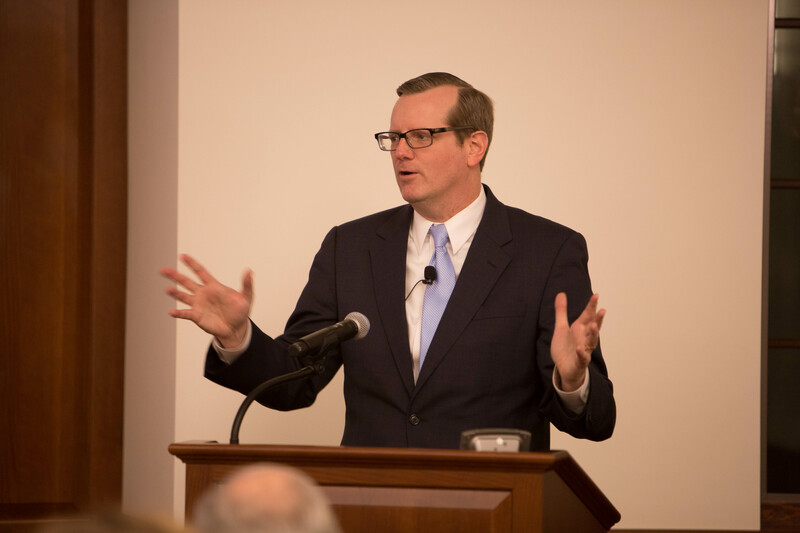 For those unable to attend in person, lecture content is available on the Wade Center’s YouTube channel, and each series will also be published in book form. A look over the crowd at the February 4, 2016 lecture. 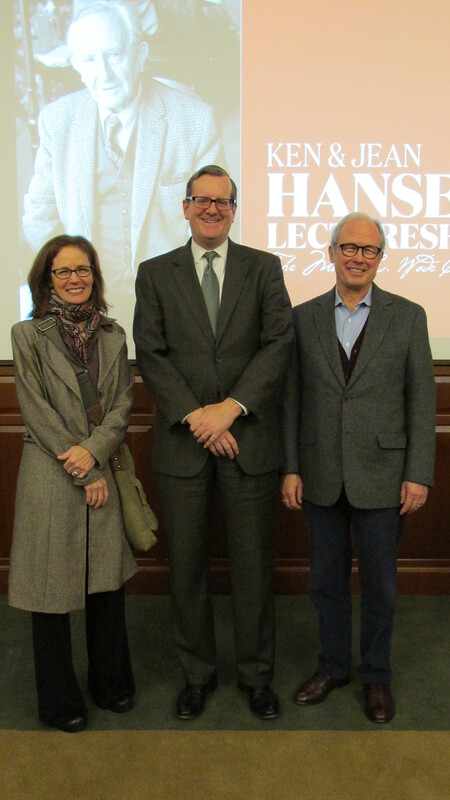 Dr. Sandra Richter, President Ryken, and Walter Hansen following the November 12, 2015 Hansen Lecture. These responses provide an opportunity for a conversational approach to the lecture material, often from a different field of expertise, and allow for additional points of dialogue and perspective. The first two lectures and faculty respondents have provided enjoyable and stimulating evenings with the Bakke Auditorium full of attenders; between 130 and 150 people were in attendance at each talk. Dr. Timothy Larsen will present three lectures on George MacDonald for the 2016-2017 Hansen Lectureship. If you would like to be notified of upcoming Hansen lectures, and other Wade Center events, you may sign up for email announcements on our contact page. 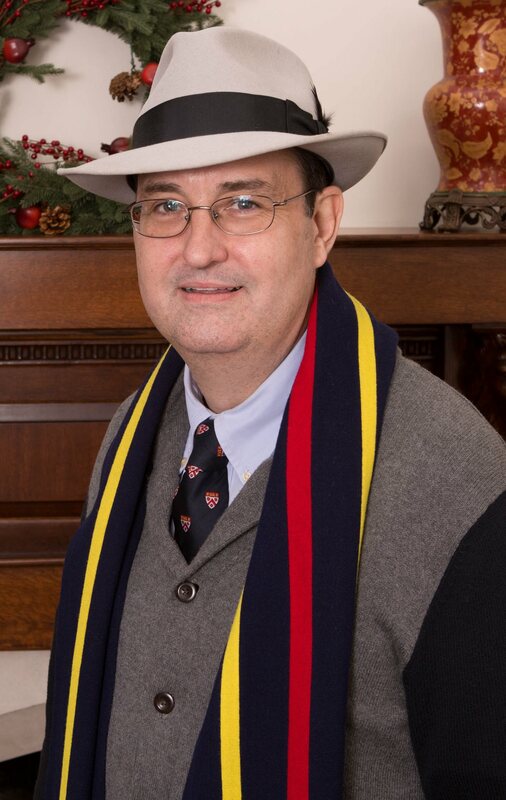 We hope you will join us for our last Hansen lecture by President Ryken on March 31 at 7pm: “The Coronation of Aragorn Son of Arathorn” with faculty respondent Dr. William Struthers, Professor of Psychology, Wheaton College. Photos used in this post are courtesy of Maas Photography.